← Custom Group Art Classes! 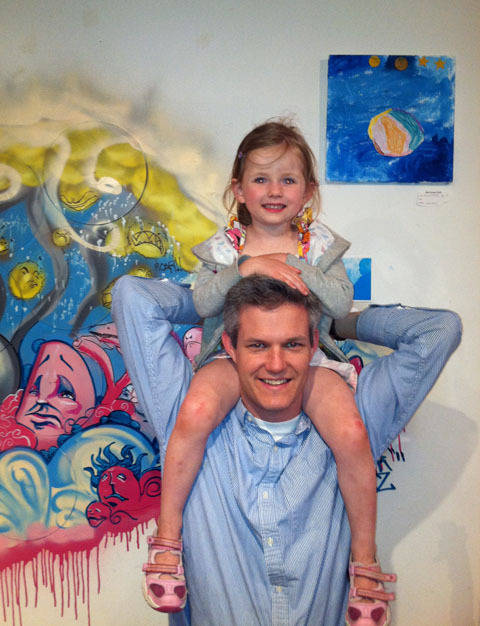 Youth artists Annie and her dad at the "Art Rocks!" Spring 2012 Art Show. At Right-Brained Studio, not only do we offer unique art classes and workshops, but opportunities for youth artists to show their work too! Youth and professional artists have work displayed side by side throughout the year with art shows onsite as well as on location. 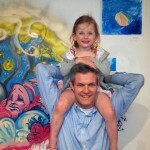 Annie sits proudly on her dad’s shoulders to be at eye level with her moon inspired art piece during our “Art Rocks!” Spring 2012 Art Show at the studio.